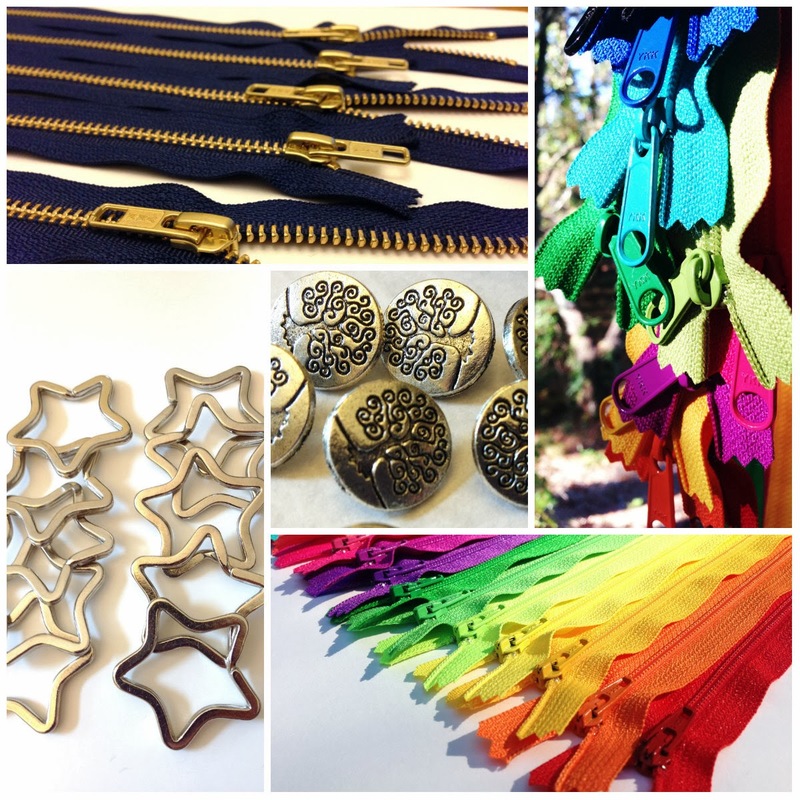 My customers often ask me: "What colors are included in your Zipper assortments ?" Every assortment I put together turns out to be a little different. Ykk Zippers Color Card includes over 400 colors. 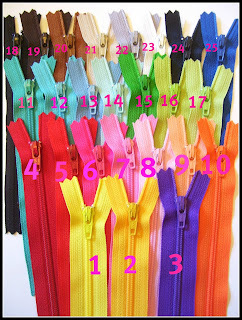 I usually have 30-40 different YKK Zippers Colors in stock, and the assortments in different zipper sizes vary. However, there are some colors I usually try to stock in all sizes, and you will frequently find at least 17-20 colors to be similar in each zipper lot you buy from me. The photo to the left should be a good reference as it shows most of the colors you will find in the 25-50-100 zipper assortments purchased at my Zipper Store. I usually include 4-7 neutrals, 3-5 blues, a turquoise or a teal, 3-4 greens, 1-2 reds, 2-3 pinks, 1-3 oranges, 1-2 yellows, 1-3 purples (including lavender, eggplant, and lilac), depending on what I have in stock at the time you place your order. If you do not use neutrals, or yellows and oranges, for example, you can always include a note to me at checkout (however, if you only request certain colors, you may get a zipper lot with fewer than 25 ykk zippers colors). YKK zippers color card doesn't include color names - only numbers. For example, I carry vanilla purse zippers in YKK color #121, but YKK actually makes vanilla zippers in 4-5 different shades. Here's a close-up of the same Zipper lot with my color names and YKK color numbers below. Update June 28, 2013: Currently, I have 7 inch 12, 14, 25, and 40 x 7 inch zipper assortments in stock. They can be found in this section: 7 inch skirt, dress and pouch zippers. By the end of July, I will also offer 25 and 50 zipper assortments in a combination of 4, 5, 6, 7, and 8 inch sizes (5-10 zippers in 4 inch size, 5-10 zippers in 5 inch size, 5-10 zippers in 6 inch size, 5-10 zippers in 7 inch size, and 5-10 zippers in 8 inch size) - great starter pack if you need a good variety of zippers in different colors and sizes. I will be happy to answer any questions you have - either on the blog, or you can contact me through Etsy - by creating an account and using Etsy convo (email) system. How to measure a zipper length. How to measure a zipper for size. What does YKK on zipper mean? What is the Difference between dress and handbag zippers? 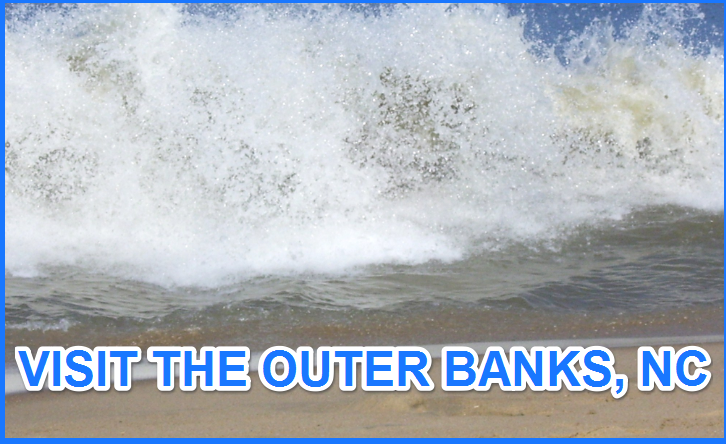 Vote for our blog by clicking the button!